Do you like to go camping? 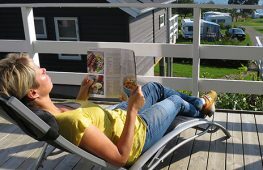 Then you should try a relaxing camping vacation on Bornholm. You can choose from cosy sites, modern camping lodges or simple campgrounds or shelters. Why would you travel to France, Italy or Sweden, when you want to go on a proper camping vacation? 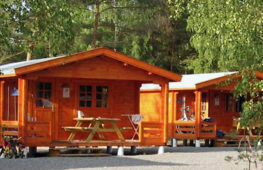 You could also choose Denmark and go to Bornholm, where you can choose from more than ten different campingsites in a unique nature. All camping sites are cosy and comfortable. 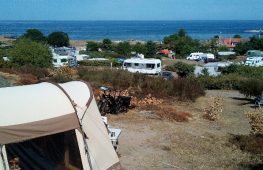 Most of the camping sites are three- or four-star rated, but there is also one site on Bornholm, that is five-star rated. So the comfort and cosiness is on top on the island. 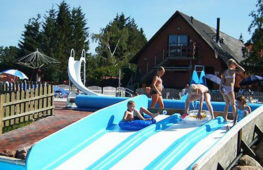 From the five-star rated camping site you’ll have access to a lot of comfortable facilities, a minigolf course of its own – and a breathtaking view over the Baltic Sea and all the way to Christiansø. If you prefer more simple and primitively camping – within a unique nature, then you could choose to stay at one of the shelters or primitive campgrounds. The shelters come in handy, when you want to walk along the coastal path around Bornholm.